Answer: This 6″6, 250 pound quarterback has brought more acclaim to his almost-mater in just seven months than most players could bring in a lifetime. On Monday, he became the fourth Auburn football player to be referenced on Jeopardy!—it took Bo Jackson 25 years. Who is Cam Newton (is a question no one will ever ask again)? Ohio State?! We came in right after this question. Dude (rightfully) lost. 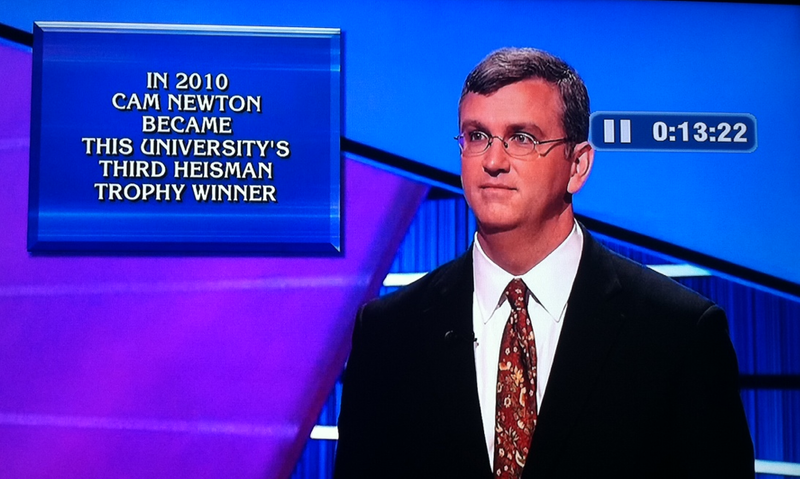 Seriously, how could anyone in this country not know about Cam Newton and Auburn after the media attack blitz?